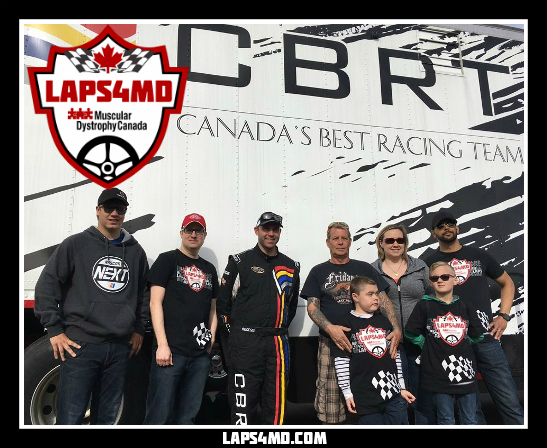 Thanks to our supporters we were able to launch LAPS4MD VIP's - where we work together in providing deserving families & individuals affected by Muscular Dystrophy with the unique opportunity of joining our supporters at the track. 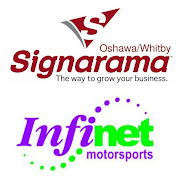 This is another great way for us to join together with the racing community in having a positive impact on those living with Muscular Dystrophy. 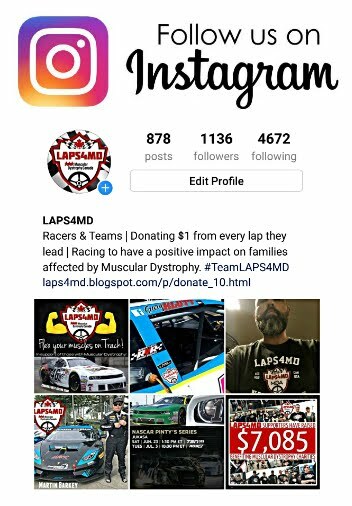 LOOKING TO JOIN IN SUPPORT OF LAPS4MD? 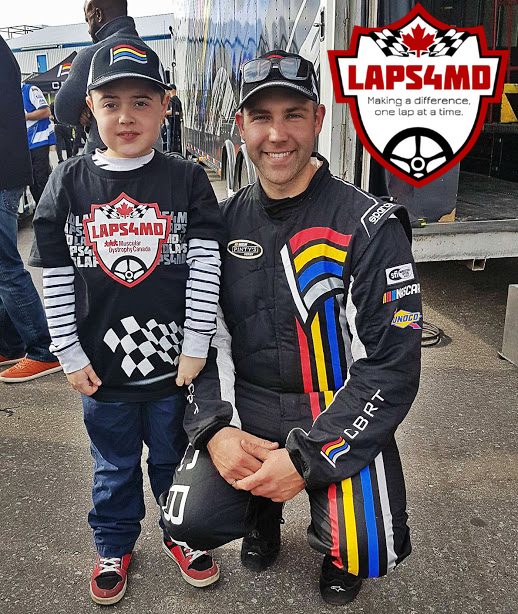 LAPS4MD Meet & Greet with Cayden Lapcevich & Joey McColm from the NASCAR Pinty's Series with our special VIP's the Mitchell family with their son Zak a young man living with Duchenne Muscular Dystrophy. 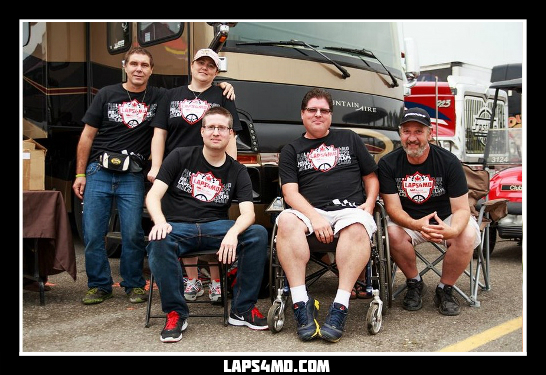 LAPS4MD Meet & Greet with NASCAR Pinty's racers Joey McColm & Gary Klutt with our special guest Brad Krulicki who like our founder has Becker's Muscular Dystrophy. 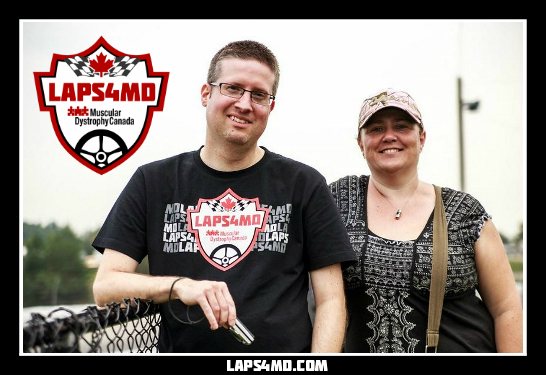 Brad the founder of LAPS4MD with our special guest Melanie Mackie who remains active in raising awareness of Duchenne Muscular Dystrophy in memory of her son Dylan. 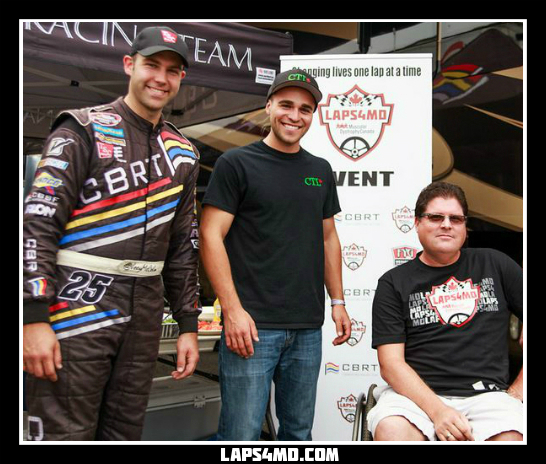 LAPS4MD VIP Meet & Greet - NASCAR Truck Series race Canadian Tire Motorsports Park. 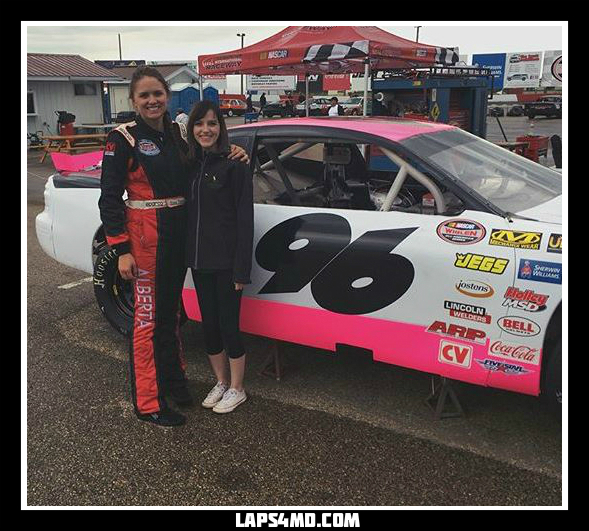 Meet & Greet with LAPS4MD racer Erica Thiering at Edmonton International Raceway with our special VIP Meagan Klatt. 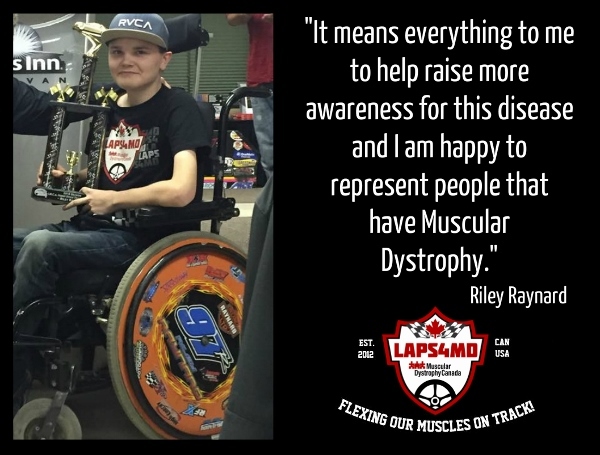 Riley Raynard supports LAPS4MD and his home track is Estevan Motor Speedway in Estevan Saskatchewan, Canada.